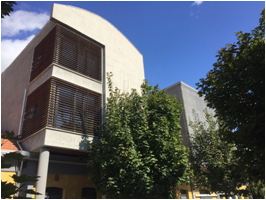 The operating offices are featured over a surface of over 700 square metres in the industrial neighbourhood of the Ligurian medieval village of Santo Stefano. The building is an old silos which has been converted to a studio by an Italian architect. It is a huge open space full of light with big glass windows and soft colours. To date here our professionals work side by side: more than twenty phone collectors, the investigative squad, the legal factory share views with the back office and the responsible for each service. The office is two minutes on foot from the train station, two minutes by car from the highway, 70 km from the airport of Pise and 100 km the airport of Genoa.